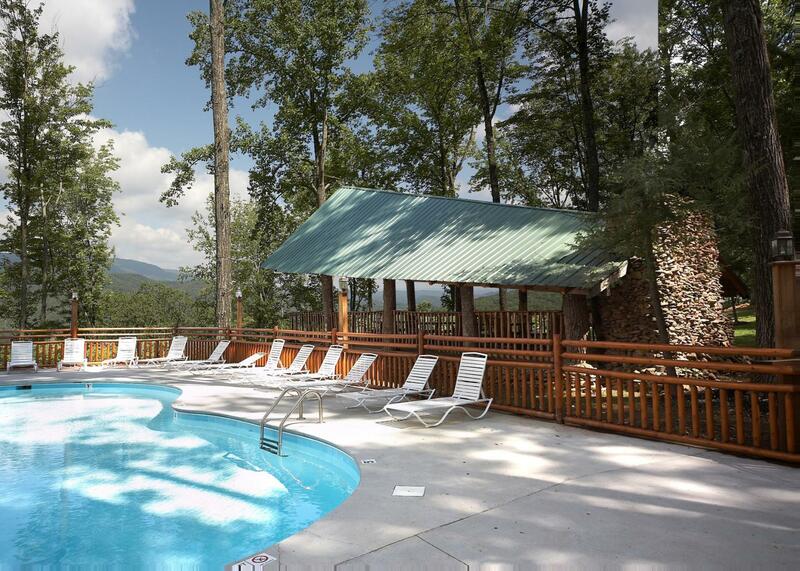 Treat yourself to a well-deserved vacation in the Great Smokies in the Higher Ground Cabin. Perfect for families, this cozy hideaway sleeps 6 offering guests two bedrooms, two baths, and all the comforts of home. Guests can get a good night’s sleep in the master king-sized bed, the queen in the 2nd bedroom, or opt for the trundle bed that pulls out into a twin. Select bedrooms include jetted-tubs. Gather in the living room and curl up by the stone-stacked, gas fireplace, or catch your favorite movie on the flat-screen television. There is plenty of comfortable seating for everyone, making it a great spot to recount the day, or finalize your itinerary. Guests can enjoy hours of fun on the lower level, watching television, playing on the 'MultiCade' Video Game system featuring 60 games or relaxing with a good book. Enjoy preparing meals in the fully-equipped kitchen, complete with both large and small appliances for your convenience. Dine as a group at the table, or take your plates outside to the spacious porch for dinner with a view. There is also a gas grill for additional cooking. The wrap-around porch provides several rocking chairs and lounge seats, making it the perfect spot to sip your morning cup of coffee. For your convenience, Higher Ground includes a hot tub, Wi-Fi, washer/dryer, and access to the resort’s public swimming pool. We apologize, this home does not accommodate pets. Higher Ground #21 is rated 4.8 out of 5 by 10. Rated 4 out of 5 by frajim from Quaint but efficient We enjoyed our stay in this cabin. There are a few negatives with this cabin. First is there is no dining room table. Instead there is what I call half a table against a wall with 2 bar stools, which didn't accommodate our family of 4. They did have "TV" tables which gave us a place to sit and eat, so not terrible. The second negative is the lighting. The brightest rooms in the cabin were the bathrooms. We bought a couple of touch lamps to set in the kitchen to help improve the lighting. Lastly was the view, or should I say a lack there of. I knew there wasn't much of a view going in, but the only view was looking up at the stars at night. Rated 5 out of 5 by Watsons from Clean, comfortable and cute.....very relaxing! My wife is very picky but really loved all the unusual, fun touches this cabin provided. We had 2 adults and 2 children and it was very comfortable and just perfect. We enjoyed the pool and the location was great and we didn't even deal with the traffic because of where the cabin was located. We really liked enjoyed our stay . 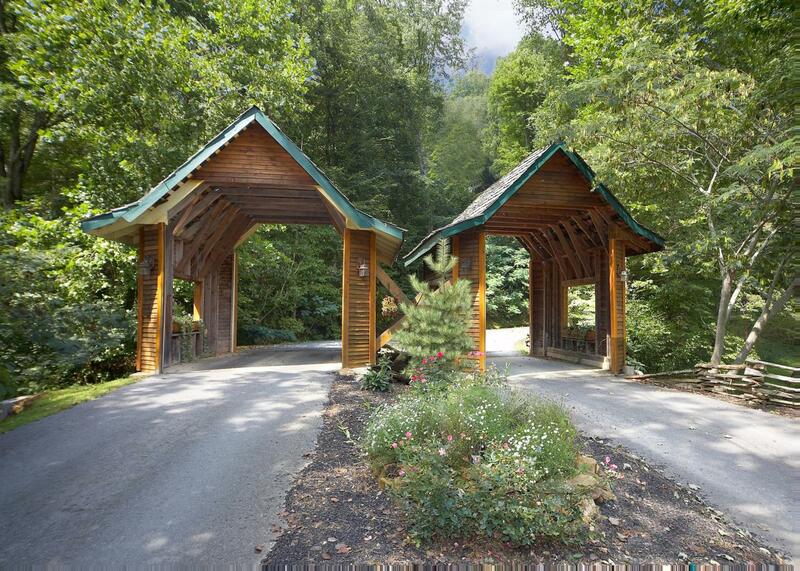 Everyone was very helpful and friendly on site and the resort felt very safe. Rated 5 out of 5 by Higher Ground 21 from Awesome Cabin! This cabin is just perfect for a get-away! It is decorated so cute and is very comfortable and clean. 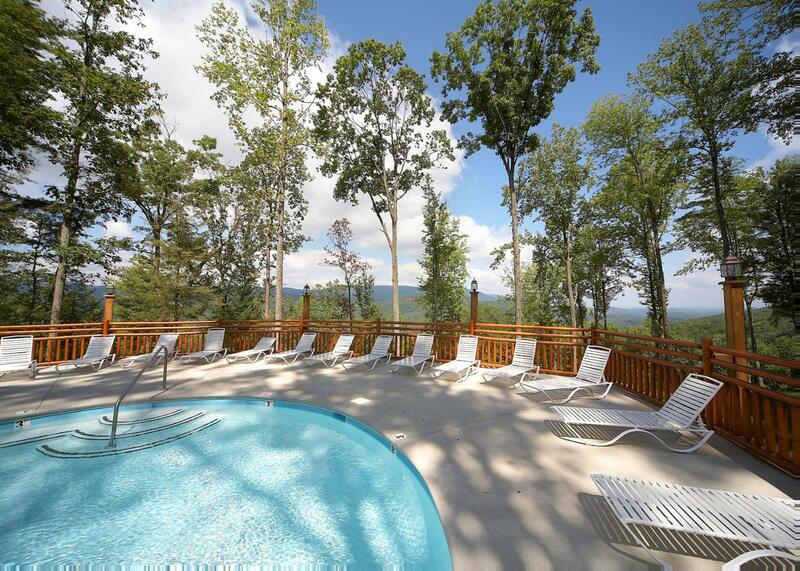 The Hot tub and the washer/dryer are added bonuses after a long day of hiking! It so peaceful and serene-nestled in the trees! 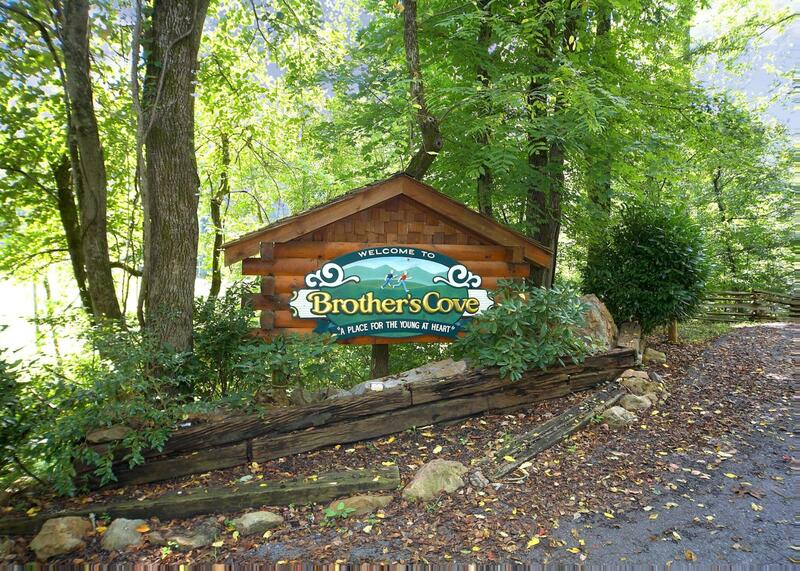 Easy to get to and close enough to driven in to Pigeon Forge and Gatlinburg. We will definitely tell all our friend and family about this wonderful cabin! LOVED it!! Rated 5 out of 5 by keshavj1977 from Wonderful getaway! We were in town for a wedding at the resort and stayed for two nights. We wished we could have stayed for another week. The cabin is wonderful, comfortable and cozy. It was peaceful; coffee on the swing listening to the sounds of nature while looking at mountain views. How can life get better? Rated 5 out of 5 by Erin Calvo Bacci from Family friendly This was the second part of our trip to TN and it was perfect! We had a comfortable and clean place to sleep, the views were amazing and for us it was great to be able to prepare our own food. Rated 5 out of 5 by Reynolds 4 from Great cozy getaway We stayed and loved this cabin. Had sweet touches and everything we needed. It was very clean and we loved it. Rated 5 out of 5 by Anonymous from Beautiful Cabin We had a great stay in the cabin. Cabin was very clean and all facilities were available.